The international campaign to support the joint candidature to the Nobel Peace Prize for 2018 of more than 60 subjects: non-governmental organizations and other worthy persons, which have continuously activated, during the “Refugees Crisis”, many maritime rescue means along the migratory routes of the Central Mediterranean Sea and the Aegean Sea, to provide a humanitarian response to the protection of the lives of migrants, motivated by the universal principle that every person in danger at sea must be rescued and treated with dignity. WHY THE NOBEL PEACE PRIZE? Fishermen, volunteers, artists, seamen, doctors, lifeguards, nurses, pilots, shipmasters, rescuers have opened their hearts to save refugee children, men and women fleeing war and terror. They’ve even risked their own lives to rescue thousands from the sea waters. With their actions, they drowned fear and racism in a wave of compassion and reminded the whole world that we are one, united humanity, above races, nations and religions. The Nobel Peace Prize would be an important recognition for an international university carried out by humanitarian organizations and deserving people solely through the attempt to actively testify of respect for human dignity and peace, since any available and available help to the sacrifice shows victims a human face and a source of hope for reconciliation and peaceful coexistence. The term Righteous comes from the Bible, which states that “whoever saves a life saves the whole world” and it was applied for the first time in Israel with reference to those who rescued Jews from Nazi persecution in Europe. 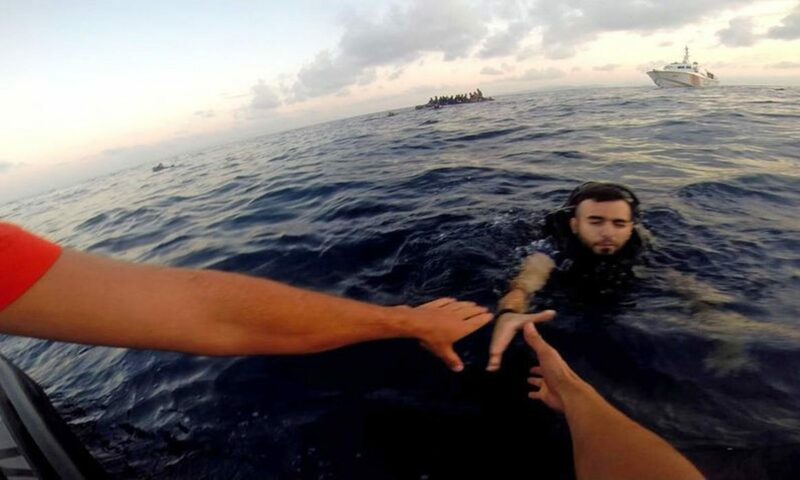 “Are the Holocaut Righteous different from those rescuers who help the refugees at sea? The context is different, because then those who saved the Jews risked their own life – or at least their reputation – setting themselves directly against the executioners, while today this is a choice of conscience, where somebody puts him or herself at the disposal of the other. There is though one common point though. The Righteous of yesterday and today answer the call of the other’s face. Probably, in their life, they would have done something completely different, but then something compelled them to act. They have not planned to do good, they have not gone out to do some volunteer work, nor decided to sacrifice their lives as missionaries, but in the face of people demanding help they have decided to act, as if they had received an order“. The Committee has selected more than 60 subjects, who have continuously activated, during the “Refugees Crisis”, many maritime rescue means along the migratory routes of the Central Mediterranean Sea and the Aegean Sea. NGOs and other worthy subjects, who provide a humanitarian response to the protection of the lives of migrants, motivated by the universal principle that every person in danger at sea must be rescued and treated with dignity. EPE – ENVIRONMENTAL PROTECTION ENGINEERING S.A.
An international group of european citizens start up the Committee in Parma (Italy) for the nomination to the Nobel Peace Prize for 2018 “THE RIGHTEOUS OF THE MEDITERRANEAN SEA”. The Committee does not require any economic burden for own activity, absolutely non-profit and voluntary. All trademarks, company name and their respective logos cited herein are the property of their respective owners and do not infringe any patent, trademark, copyright, license or any other proprietary right of any third party. Non commercial use for images or photos: no known restrictions on publication, but any rights holder can contact for removal.